Smart speakers have been some of the most amazing products loved by many, and sure you want to avoid damaging it in any ways possible. 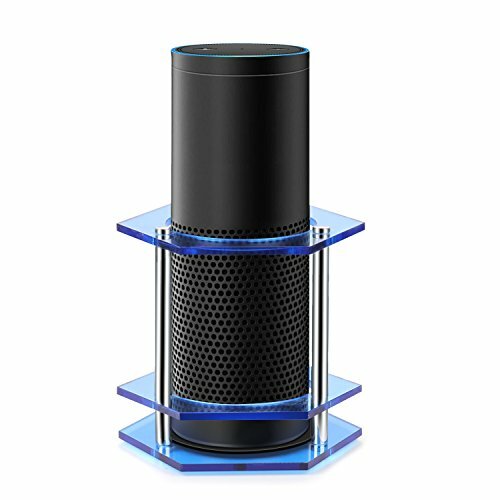 Shelter Alexa with a guard cover and truly make your Amazon Echo Plus / 1st Generation Echo / UE Boom stands out! This Acrylic Protective Stand Guard is the perfect accessory to protect your speaker from impact, scratches and other everyday wear and tear. The hexagonal shape prevents further slip & roll, and the rubberized base stronger the grip and stabilize the speaker. Decorated with calm blue color without covering up the original serene color of black / white. No hassle with complicated installation, simply mount it and secure. This Speaker Stand Guard Holder is your best smart option. No assembly required - The protective stand guard will arrive to your front door fully assembled and can be easily set up with your Echo Plus/Boom in seconds!